The Blood and Wine expansion for The Witcher 3 will be playable in advance for a select number of readers of German gaming website, PCGames. While CD Projekt Red has yet to announce the release date of the second Witcher 3 expansion, Blood and Wine, but German gaming website, PCGames, allows 4 gamers to play the upcoming expansion in advance on April 29th. In addition to a several-hour game session, the eligible players will have the possibility to speak with a CD Projekt Red level designer, and share their feedback. The exclusive ‘sneak-peek’ will take place on April 29th from 10.30 till 18:00. The minimum age to apply is 18 years. The sneak peek organized by website PCGames.de, implies that the Blood and Wine expansion is already in a playable state, at least parts of it are. Since those eligible will also be able to share their feedback, improvements may still be implemented in the expansion. As reported earlier, several release dates for the Blood and Wine DLC are circulating around the web. Recently, Polish gaming website, GRYOnline, mentioned a release date on June 7th, although they later stated that this was merely a “placeholder date”. Retailer Amazon briefly listed the Blood and Wine DLC with a release date on May 27th, before changing it to January 1st 2036. 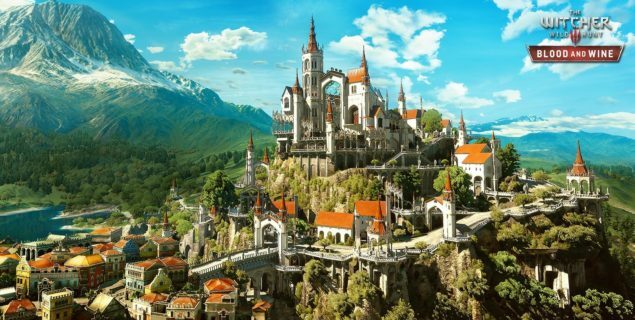 The expansion’s release date remains a mystery, but CD Projekt Red has stated that they are planning to release the second expansion in the first half of 2016. We’ll keep you updated when we learn more.